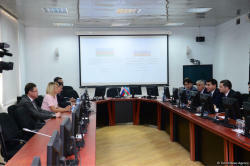 Azerbaijani and Russian foreign ministries held consultations in Baku on July 27. 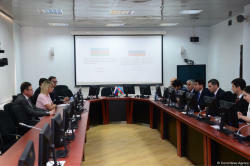 The Russian delegation was headed by the Spokeswoman for the Russian Foreign Ministry Maria Zakharova, and the Spokesman for the Azerbaijani Foreign Ministry Hikmat Hajiyev headed the Azerbaijani delegation. The parties discussed the issues of information support of foreign policy. Following the consultations, Zakharova told reporters that Azerbaijan and Russia agreed to intensify information consultations. “Our traditional form of cooperation between the press services of the foreign ministries of Azerbaijan and Russia have proved themselves. 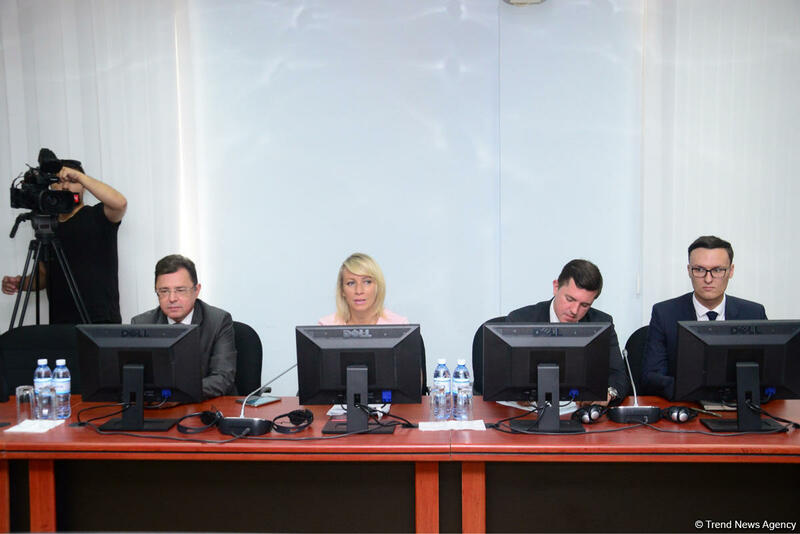 These are exchange of views on information issues, protection of journalists, great opportunity to inventory the work we are doing to ensure that the work of Russian journalists in Azerbaijan and Azerbaijani journalists in Russia is effective and constructive,” the spokeswoman said, adding that at the consultations they agreed to exchange views even more intensively. Speaking of the Armenia-Azerbaijan Nagorno-Karabakh conflict, she noted that Russia welcomes any positive agreements between the parties to the conflict. “We welcome any meetings where both countries agree and which are constructive, and most importantly, we welcome any positive results achieved,” Zakharova said. 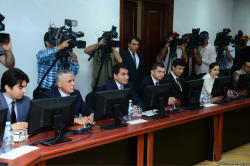 The spokeswoman added that the meetings are held at different levels between Azerbaijan and Armenia. She also touched upon the issue of anti-Azerbaijani campaigns. “Something must be done about that. We have all the tools in the form of international organizations and specialized international bodies, in which Russia and Azerbaijan participate, to counteract these very negative, destructive trends,” Zakharova said. 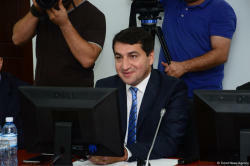 Hajiyev, in turn, said that there is a program of action between the foreign ministries of Azerbaijan and Russia. “In accordance with this program, consultations are held between the foreign ministries of the two countries. There is a mechanism for political consultations and consultations on consular issues,” the spokesman noted. He expressed satisfaction with the fact that consultations on information issues are held in Baku, and added that the discussions were very constructive. Last year, Azerbaijan and Russia marked the 25th anniversary of establishment of diplomatic relations. Presently, Russia is one of the main economic and trade partners of Azerbaijan. More than 170 documents were signed between the two countries, including about 50 documents on economy. Moreover, Russia, as a co-chair of the OSCE Minsk Group, is making much efforts aimed at the early settlement of the long-standing Armenia-Azerbaijan Nagorno-Karabakh conflict. The Russian Foreign Ministry has many times noted that assistance in the settlement of the conflict is one of the country's priorities.